Walter Allen, distinguished professor of education, sociology and African American studies and the Allan Murray Cartter professor of higher education at UCLA, will deliver the prestigious W.E.B. DuBois Lecture on April 15 at the American Educational Research Association’s annual meeting in New York City. Allen was honored with the association’s Scholars of Color Distinguished Career Contribution Award in 2016. 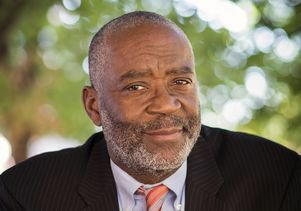 He recently appeared in and served as a consultant for the documentary, “Tell Them We Are Rising: The Story About Black Colleges and Universities,” which is part of the PBS series, “Independent Lens.” This year, Allen was selected to the National Academy of Education. For more about the association’s annual meeting, visit the UCLA Graduate School of Education and Information Studies website.